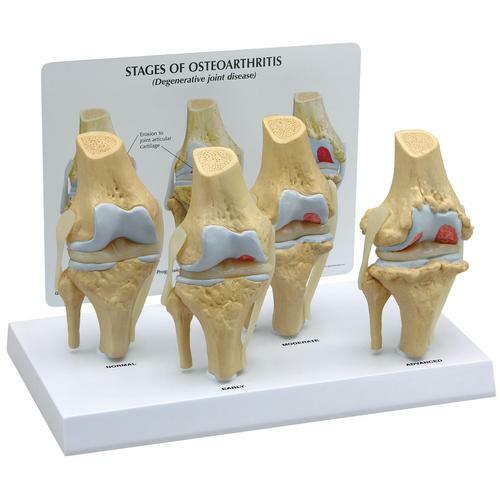 Set of four knee models show the stages of the Osteoarthritic knee, reduced size, illustrating: degenerative joint disease (osteoarthritis); erosion to joint articular cartilage; progression of degenerative joint disease; osteophytes (bone spurs) at the articular surfaces. Advanced stage knee is articulating for additional view of joint. Model size: 3 x 1.75 x 5.5"